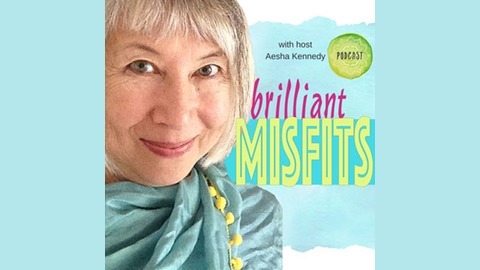 Brilliant Misfits is a podcast about women who didn’t fit in and explores how this has helped them create amazing lives and businesses by courageously following their heart and doing it their own way. Each week host Aesha Kennedy, a creativity coach, interviews women about their personal stories as it relates to their area of expertise on entrepreneurship, mindfulness & spirituality, feminine leadership, art, marketing & branding and more… Be inspired by their wisdom and take-away tips to help you create a life and business that allows you to BE YOU and BE BRILLIANT. Body Love Method was created by Emma Polette to empower women through effective practical self care practices that don’t include harsh diets or exercise. Emma was trained as a personal trainer, health coach, reiki practitioner, and yoga teacher. Her clients call her a real woman for real women. She is on a mission to help thousands of women feel great about their bodies without harsh diets or exercise programs. 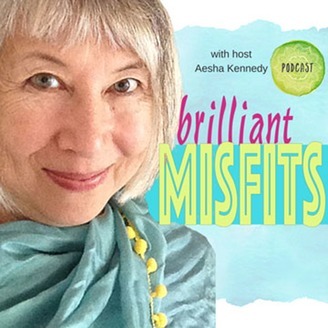 I invited Emma Polette as a guest on Brilliant Misfits because she truly is. Not fitting into what society considers ‘normal’ she has found a way to live her life with acceptance and love and now helps others do the same. Her business, which is different to other personal training and health coaching, is flourishing since embracing her rebel approach to helping women through the Body Love Method and how they can feel fit and healthy and love themselves just as they are. Emma is available for a free consultation. The post 081: Body Love Method™ Emma Polette appeared first on Aesha Kennedy | Mindful Creative Living for Soulful Women.